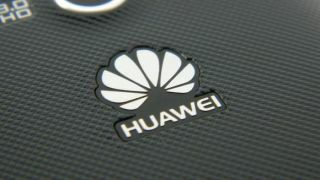 Huawei, the emerging smartphone maker in China, could become a serious challenger in the mobile OS landscape dominated by the United States' iOS, Android, and Windows 8-powered devices. The telecommunications company told Reuters that it could add its name to the big list of small device OS manufacturers if "other companies won't let us use their system one day." Huawei is clearly referring to Google and Microsoft in this case. It currently produces phones and tablets that run either Android, like the Huawei Ascend P1, or Windows 8, like the Huawei Ascend W1. The Samsung vs. Apple lawsuit is cited as one of the reasons Huawei is sinking R&D money into this OS backup plan. Another reason may be Tuesday's report that suggests Google forced Acer to cancel an Alibaba-powered smartphone. A potential Huawei OS may never materialize, but if it does, it could face worldwide competition beyond U.S.-manufactured systems like iOS, Android, and Windows 8. Canada's RIM is poised to launch BlackBerry 10 in 2013 and the company may go through with plans to open the BlackBerry OS to other phone manufacturers. In South Korea, Samsung has its own Bada OS on select devices like the Samsung Wave 3 and many see potential in a full-blown Samsung OS. The Samsung vs. Apple lawsuit was a reason cited here, too. Back in the U.S., everyone's focus is on the big three, but there's another browser heavyweight getting in on the action in a way that directly affects Huawei. Mozilla is teaming up with Huawei Chinese rival ZTE to produce a line of phones running the forthcoming FireFox OS. Then there's HP, which isn't completely out of the picture with a chance that it may resurrect the long-written-off webOS. Combine these emerging rivals with the fact that Android, iOS, Blackberry, and Bada all saw growth in the Chinese market last year, and Huawei would have its work cut out for itself.